Dental implants are a highly effective way to replace several teeth or just a single one. Teeth replaced using this advanced technique look, feel and perform just like the real thing. Basically, a post is placed into the jawbone which acts just like the root of a real tooth. A replacement tooth, fixed bridges or dentures are then added. 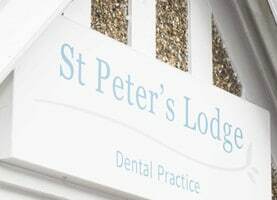 Here at St Peter’s Lodge in St Albans, we have extensive experience in providing dental implants and will be delighted to talk through this exceptional form of treatment in detail, so you can decide whether it’s the right choice for you. Perhaps you’ve been left with a gap in your teeth and want to get the longest lasting, most cosmetically successful form of replacement possible. Or maybe you’ve struggled with ill-fitting dentures and want to put an end to embarrassment at meal times, or free yourself from the discomfort of sore gums. Or it could be that you’ve recently suffered tooth loss and can’t get used to the idea of dentures. Dental implants could be the solution for people who find themselves in any of these positions. Implant treatment normally has two stages. The first stage is the placement of the implant in your jaw. Implants are put into holes in the jaw with a local anaesthetic. We’ll make sure you’re comfortable and pain-free throughout – if you wish, you can opt to have sedation for this procedure. 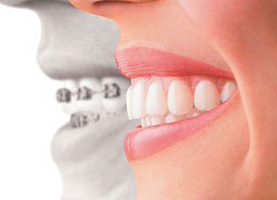 In some situations, it’s possible for temporary teeth to be attached to an implant at the time of fitting. The bone then grows round the implant to hold it firm. This takes several months. The second stage of treatment takes place at a later date when the post is secure. An extension is added to the implants – to do this, a small incision is made to the gum above the implant. The replacement teeth might be fixed permanently, like a crown or bridge, or attached in a way which lets you remove them for cleaning (like a denture). 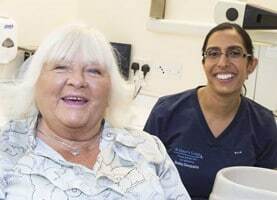 We want to help the people of Hertfordshire take full advantage of this advanced tooth replacement technique. Our experienced clinicians can place full implants, single dental implants, or even mini implants which simply create an anchor to prevent denture movement. Rest assured that we’ll always use the best materials available to complement our skills. 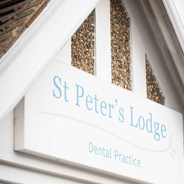 Our aim is to help you achieve the smile you’ve always wanted!